The boy is a prince, and his father rules a kingdom in conflict with the Dark World. Tarzan grapples with dinosaurs and other monsters to see to it that peace comes to the two kingdoms. 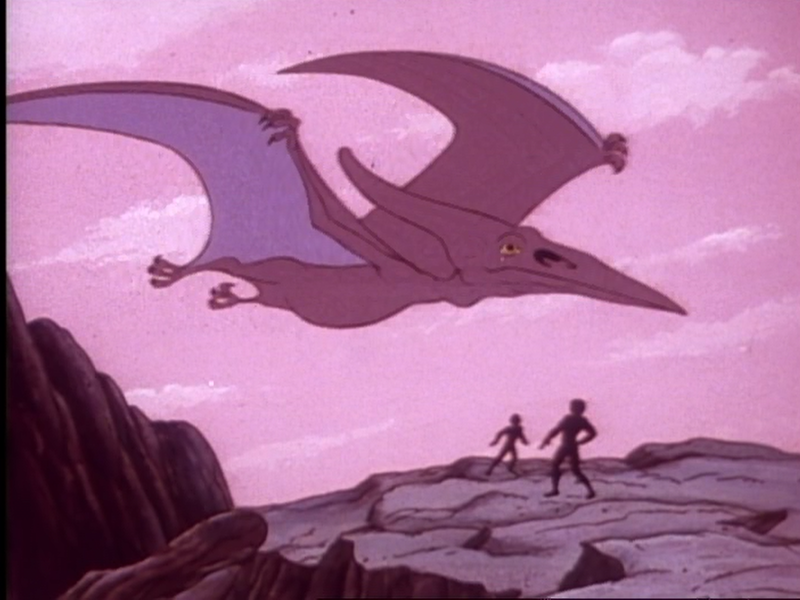 I believed, when seeing the title -- “Tarzan at the Earth’s Core” -- that this episode of Filmation’s Tarzan, Lord of the Jungle (1976) would see the great hero traveling to Pellucidar, the setting for Burroughs’ 1914 novel, At The Earth’s Core. That was also the plot of the 1930 Tarzan novel, Tarzan at the Earth's Core, from which this episode takes its name. 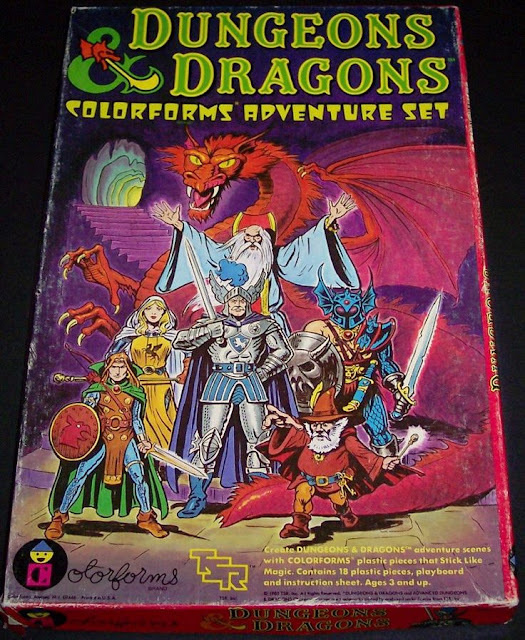 But the name Pellucidar never comes in this story, and we don't get a great Burroughs crossover. Instead, Tarzan just visits another lost kingdom accessible from his jungle, this one subterranean. But never actually sees Pellucidar, or the Earth’s core for that matter. The title is misleading in a big way, unfortunately. Also, I must point out that the opening act, which involves Tarzan saving a boy from a lion, is a repeat of an identical plot device from last week’s entry. Not very creative. Two weeks in a row, Tarzan discovers a new adventure by saving a child from a dangerous animal. 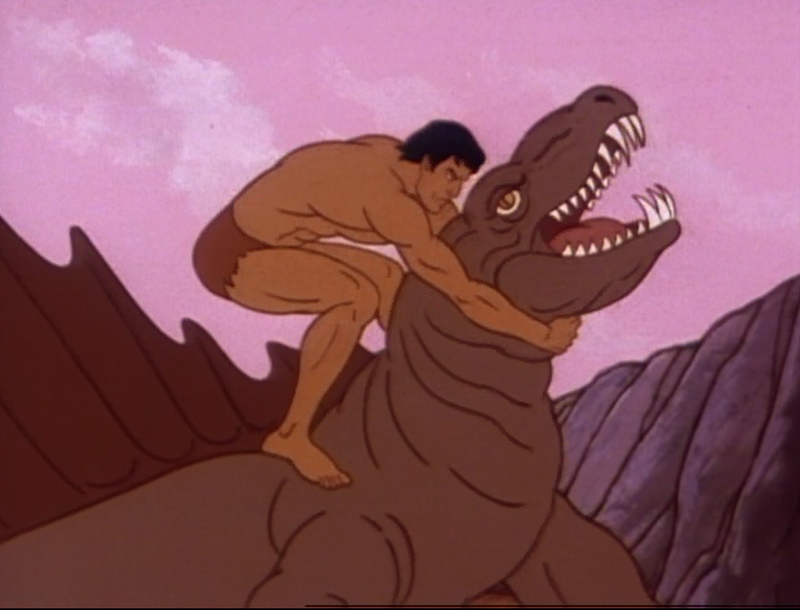 Still, the episode is a prehistoric-palooza, pitting the lord of the jungle against dinosaurs like Sabor, a T-Rex. There’s also a scene with a pterodactyl and a dimetrodon. Perhaps because the title led me to have high hopes, I can say that "Tarzan at the Earth's Core" doesn't convey a lot of strengths, especially in a series, overall, that is quite good. 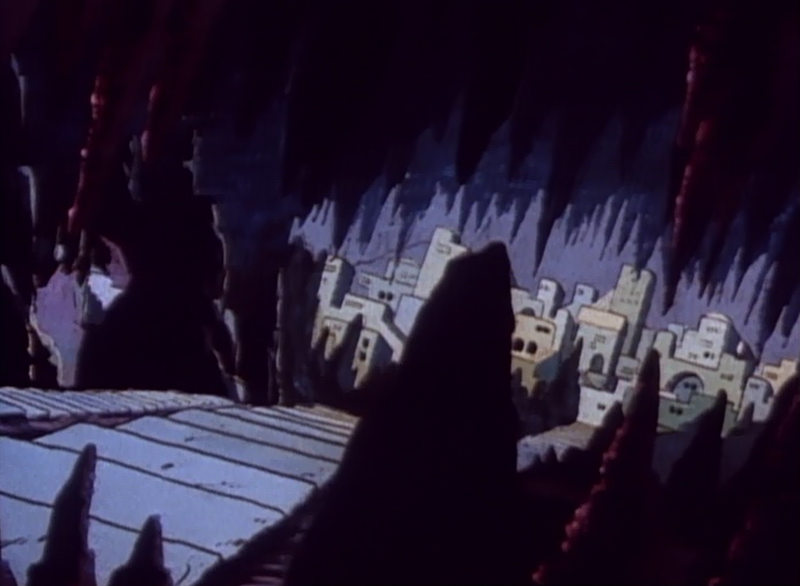 This episode reminds me of Filmation's Journey to the Center of the Earth 1967-1968 animated television series. I liked that series too.